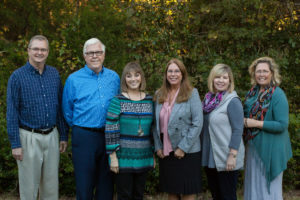 Over the years, Christian Counseling Associates of Raleigh has created over 80 hours of video and audio marriage training content and we are in the process of providing it to our clients and the general public. These programs are based on our proprietary Connected Marriage Home© counseling model. We will be adding content and associated information to this section of our website as quickly as possible, so we encourage you to bookmark this page and share the word with folks you know who will appreciate accessing this marriage training material. Our first section of material — Course 101 — provides 25 lessons on the topic of Marriage Survival Skills. Here are the video and audio versions of these lessons. We know that the Bible and its teachings are at the core of effective marriages and great relationships. You might even say it is the ultimate textbook! In Section 201 of our comprehensive Connected Marriage Home series, we focus our attention on the Biblical Foundations of relationships and devote time to powerful lessons they teach us. This series of materials focuses on a handful of essential topics for couples and families that are eager to build on a positive foundation.